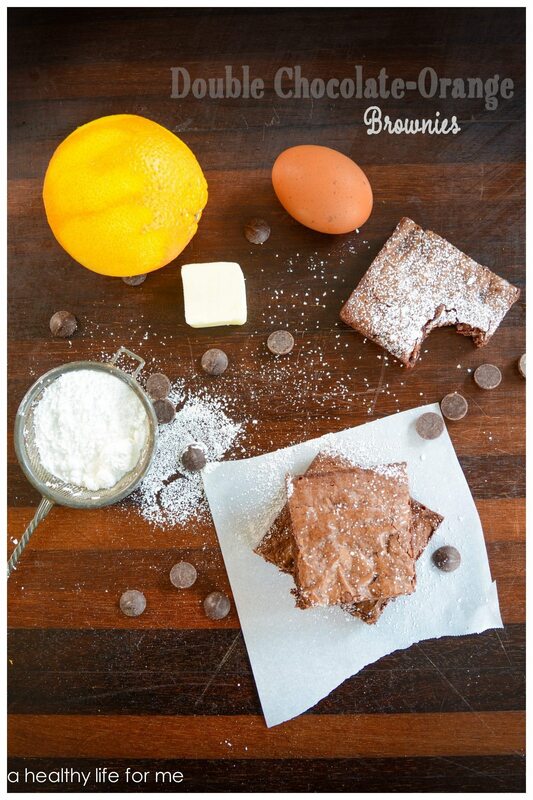 Double Chocolate Orange Brownies are dense and loaded with tons of dark chocolate. Do you ever just want chocolate? Of course, you do, and so did I. It was blazing hot out and I had been out messing in the garden and fiddling with the chickens and I am sure I sweated off a few pounds, and as a reward I deserved brownies. So, I headed into the house and whipped up a batch. Making brownies from scratch is so much easier than people think. Yes, you can do it and you will be happy you did. 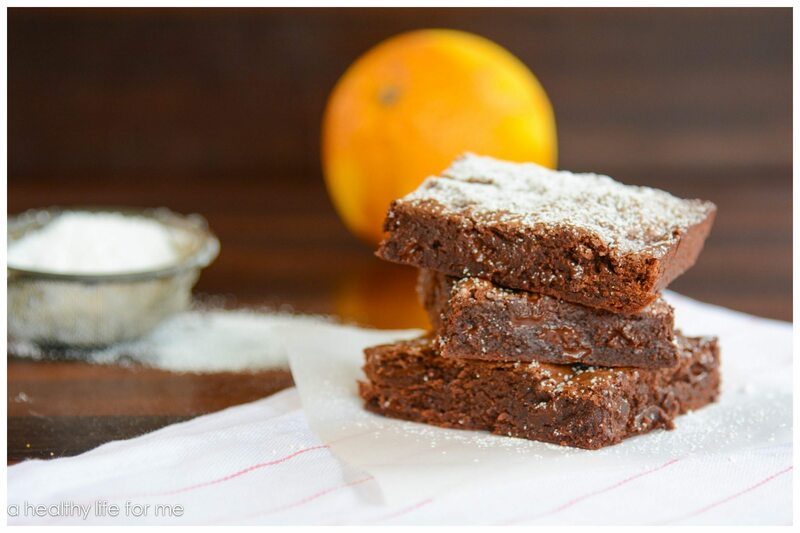 I added orange zest to this recipe to give it a bit of a gourmet flare. 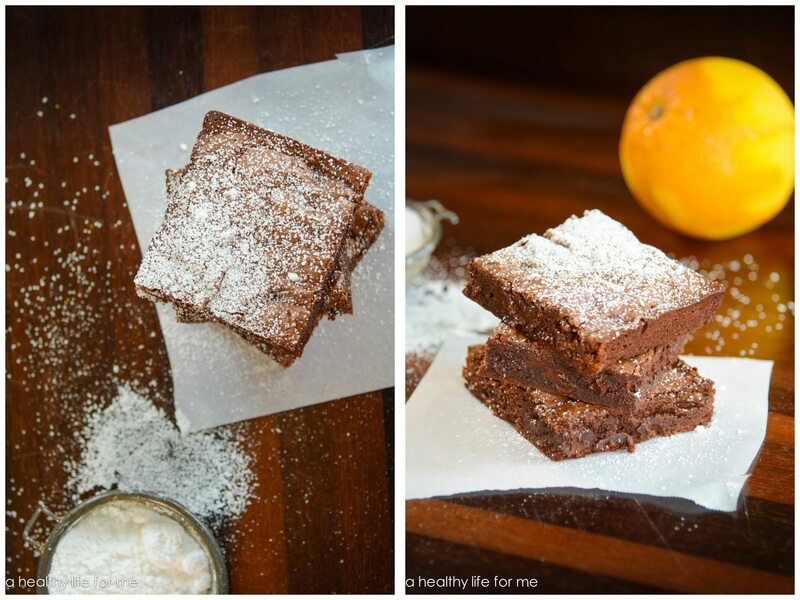 Dressing the brownies up enough that you could serve to guests when entertaining. 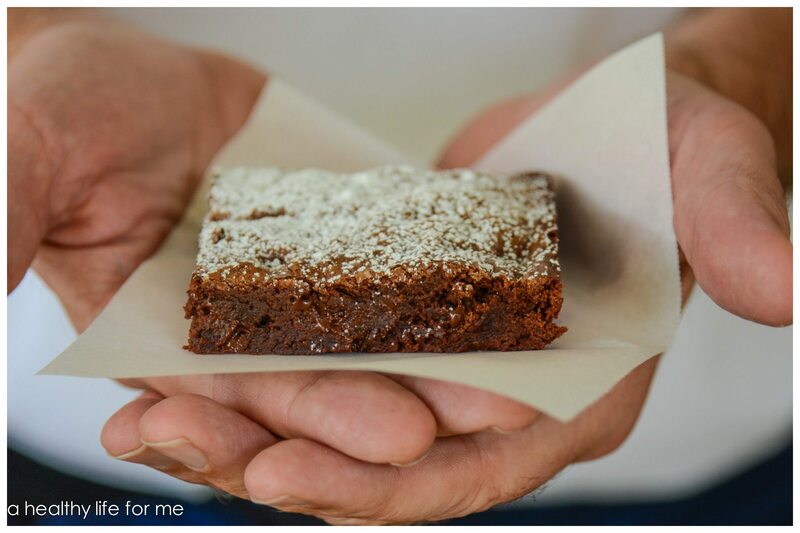 You can certainly omit the zest and just go with the good old-fashioned Double Chocolate Brownies. I won’t judge. You could switch these chocolates around if you want a darker brownie melt the bittersweet and add semi-sweet chips at the end. For more gooey brownies only cook 25 minutes. Preheat oven to 350 degrees and place the rack in the center of the oven. Spray an 8″ square pan with baking spray and line the bottom of the pan with parchment or wax paper. Melt the chocolate and butter in a bowl for 2 minutes in microwave. Take out after 1 minute and stir. Remove and stir in the cocoa powder and sugar . Place chocolate mix in mixer bowl and whisk in the vanilla extract and eggs, one at a time, beating well after each addition. Finally, stir in the flour, salt and chocolate chips and orange zest. Pour into the prepared pan and bake for about 25-30 minutes, or until a toothpick inserted in the center comes out with a little batter and a few moist clumps clinging to it. Do not over bake. Remove from oven and let cool on a wire rack. Serve at room temperature or chilled.